Carl Laubin is an artist who started his career working for architects such as Douglas Stephen and Jeremy Dixon, and then branched off on his own. 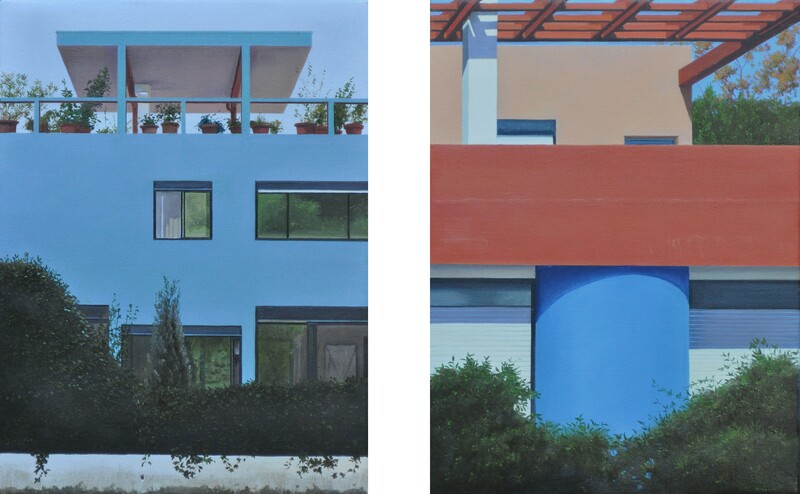 He paints landscapes and people as well as buildings, but architecture remains at the core of what he does. 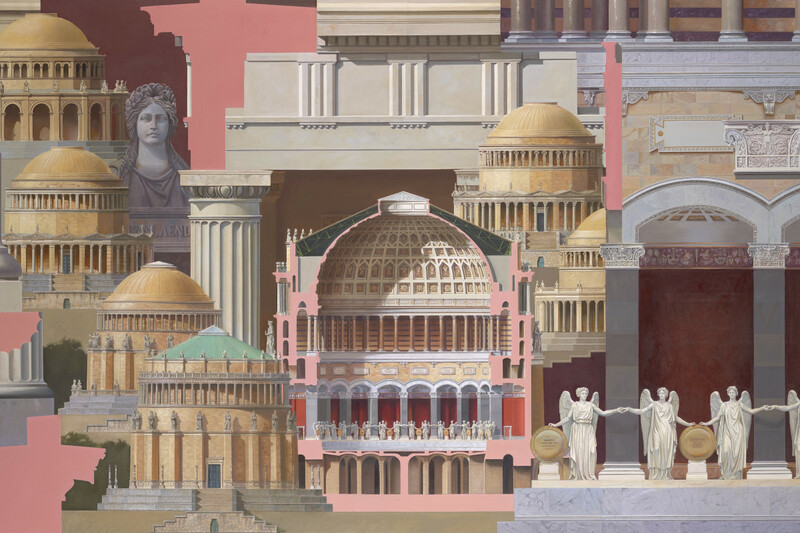 He depicts architecture as existing, proposed, modified, or fantastical. In the 1980s and 1990s he was much in demand as a perspectivist, working on such key projects as the Royal Opera House, British Library, Poundbury, Museum of Scotland, Paternoster Square and John Outram’s Mughal-inspired competition designs for the never-built Compton Verney Opera House. At the dawning of the age of the computer rendering, his particular brand of magical-realist painting offered something considerably more sophisticated. Part of his skill was to bring the patina of age and weathering – call it believability – to projects that were not yet built. He’s good at lichens. But Laubin soon moved away from direct proposals from architects and developers, instead entering the world of capriccios, those traditional imagined cities occupied wholly by the works of a single architect. 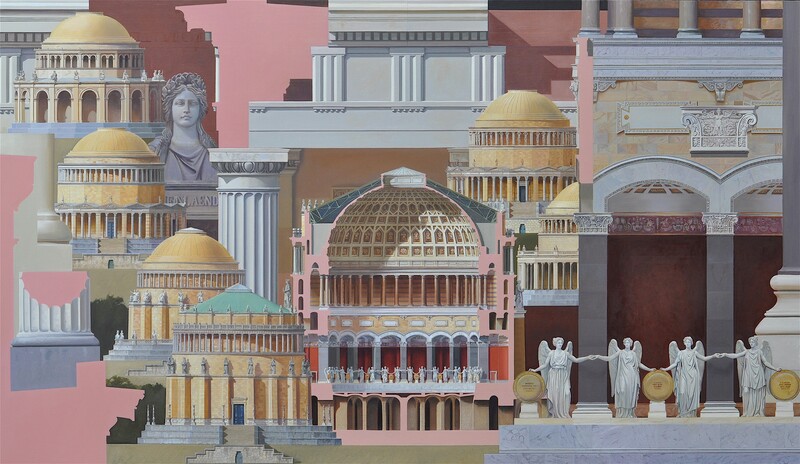 Laubin painted Leon Krier’s Atlantis project, Bordeaux chateaux for a Pompidou Centre competition, and over time everyone from Palladio via Ledoux , Wren and CR Cockerell (architect of Oxford’s Ashmolean Museum) to Lutyens. His latest solo exhibition at Battersea’s Plus One Gallery is called A Sentimental Journey after Laurence Sterne’s satirical novel of that name about the Grand Tour. (‘Sentimental’, as Laubin points out, had a different meaning in those days, meaning being in a reflective mood.) 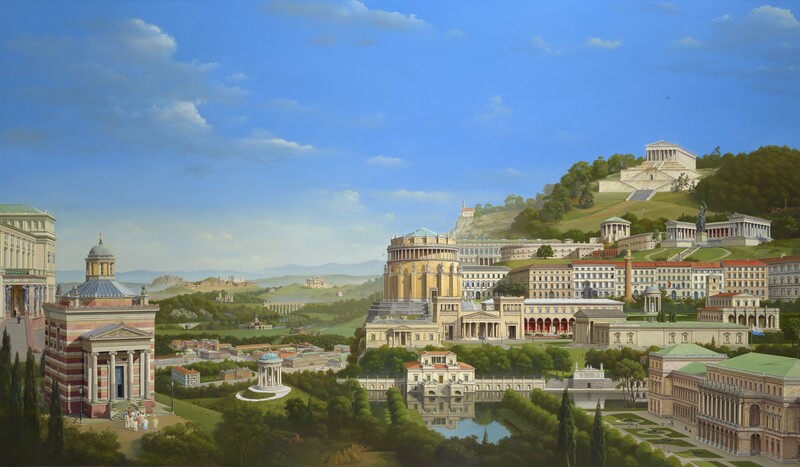 The title is appropriate for his paintings of the work of Leo von Klenze (1784-1864), a highly regarded contemporary of Schinkel and early winner of the RIBA Royal Gold Medal. Laubin appreciates the way that both von Klenze and CR Cockerell, the first winner of the Royal Gold Medal in 1848, ‘were architects, painters, archaeologists and architectural theoreticians’ who visited and drew some of the same buildings on their personal Grand Tours – most notably the Temple of Olympian Zeus at Agrigento.